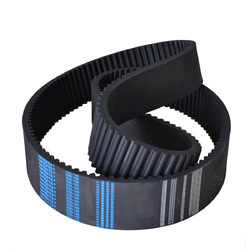 We are one of the proficient manufacturer and supplier of a wide range of Industrial Belts. Fabricated using the latest technologies, these industrial belts are resistant to electricity and inflammability. 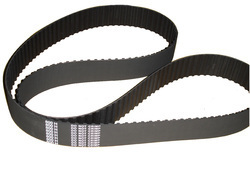 Owing to their fire resistant and ant static attributes, these industrial belts are widely used in areas that are prone to fire. 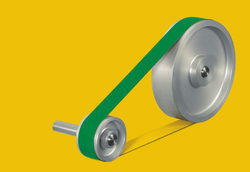 We are engaged in offering a broad gamut of Belt Drive Pulley that is used in different transmissions, motors, conveyor systems and others. Manufactured using premium grade raw material and progressive technology. 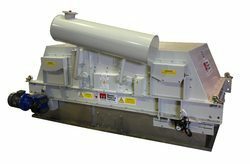 These Belt Conveyor Head Pulleys are mostly used in crane and crushers at the end so that the pulley can move the conveyor belts. The material used in is optimum quality making it more demanded among our clients. Furthermore, these products are quality tested by our clients so as to satisfy customer need. 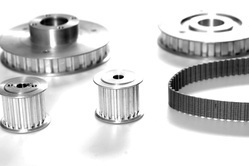 We are the leading suppliers and importers of high quality Belt Drive. They are manufactured under the supervision of our expert professionals who expertise in this domain and are widely demanded these days.